Planning the decor of a house is a time consuming and demanding task. Every nook and corner of your house is important and needs to be given an attractive and functional look. In present times, Modular kitchen has become a very popular choice among homeowners. It has prefabricated cabinets and fittings that can be easily joined together to make a beautiful looking as well as fully functional kitchen. However, even though they are becoming very popular, many people are still doubtful that whether they should choose a modular kitchen or go for carpenter made kitchen as there are various pros and cons of modular kitchen. Modular kitchen is an easy and stylish way to maximize storage area with minimal impression. Kitchen has become an essential area of impact while working on the décor of the house with the popularity of concept of open kitchen and open plans. If modular kitchen is well designed and planned for proper space utilization,a lot of storage can be created even in the smallest of kitchen areas. While they have their pros/advantages, they also come with a fair share of cons/disadvantages. Knowing these can help to decide whether to choose modular kitchen or the carpenter-made. One of the interesting features of a modular kitchen is that it can be easily installed. The manufacturing of modular kitchens takes place in factories, and they come as ready-to-install. So, it offers you the easiness to practically shift the entire modular kitchen when you move or shift your house. Furthermore,you can get a part of the kitchen changed or repaired anytime, without worrying about affecting it other closer parts or accessories. Smooth modular kitchens are designed keeping in mind the needs of customer. Depending on your needs, available space and personal preferences, you can get your kitchen customized. You can coordinate your kitchen theme and color or go for a design that compliments or matches with the theme of your house. While this will allow you to personalize your kitchen, it also helps you work within your budget limits. With efficient and proper planning by professional kitchen planners, these kitchens provide more storage and better work flow with easy and smooth pace. Modular kitchen cabinets come with special storage such as built-in bottle racks, plate holders, cutlery compartments, garbage holders and wire trays for vegetables. They also have specific systems such as carousels or Susan connectors that make corner cabinets more accessible. The shelves provided with modular kitchen allows you to save lot of space. In some kitchens, you will notice shelves in corners or tiny spaces, while some they are designed on doors to hang it. 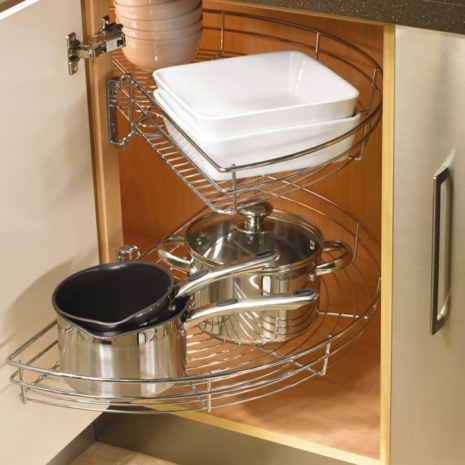 This type easily allows you to fit modular kitchen appliances along the wall or shelves. Such features are a boon for small apartments. 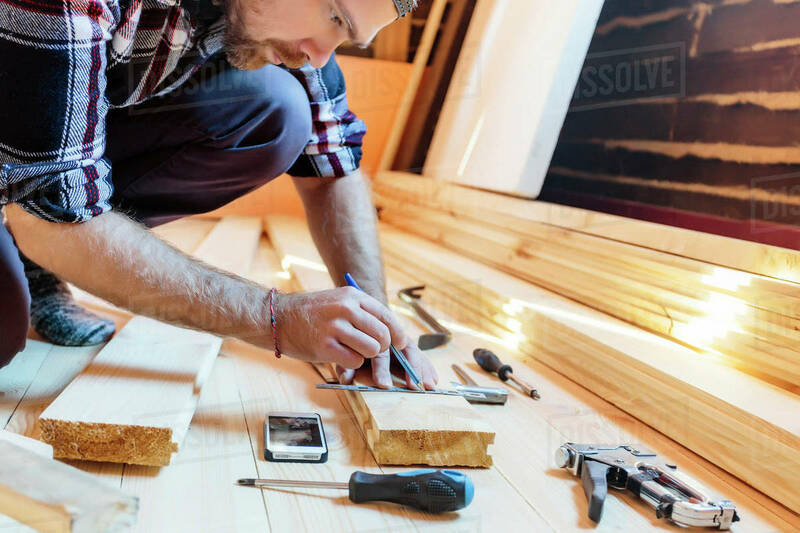 Generally, homeowners hire carpenters to design their kitchens. This approach is not only time consuming, but also causes a great deal of inconvenience to the household involving months of noise and dust. Modular kitchens, on the other hand, are made in factories and then fitted in your house. Within a month or few weeks or so, you can expect to have the kitchen installed at your home after placing the order. Modular kitchens come in a wide range of latest and elegant designs. The use of straight line cuts and corners gives a minimal yet luxurious look. From the more neat and designs, to sleek and modern, you will find a number of patterns and designs with attractive beauty and the best functionality. You also get to choose from an abundant range of finishes, colors, patterns to make your modular kitchen match with your existing interior theme. The shelves, cabinets and drawers of a modular kitchen offer sufficient space for storage. The storage facilities will help you organize kitchenware items which will help in cooking and working in the kitchen quite easy and efficient. It also helps to de-clutter the kitchen giving it a clean and tidy appearance. Modular kitchens are smartly and stylishly designed, catering to Indian home habits. It ensures that items are stored that are used most commonly in comfortable locations. The kitchen is generally separated into areas for cleaning and cooking. The remarkable feature is that the division won’t be easy to recognize, but will assist you practically and functionally. Cleaning of the modular kitchen is quite easy and effortless. Having a modular kitchen might burn a hole in your pocket as their installation cost are expensive than those carpenter built kitchens. To get that quality and precision, you will surely have to spend some extra money. Installation and repair of pre-fabricated cabinets need technical assistance for it. If there is too much use of oil and spices in your food, make a habit of cleaning your kitchen instantly after you are done cooking and preparing food. Modular kitchens are a clear choice, yet money being a constrain. Modular kitchens have a wide range of cost estimates to suit different budgets as per client’s needs. Previous PostPrevious How to Prepare Reinforcement Steel Before Repairing of the Concrete?